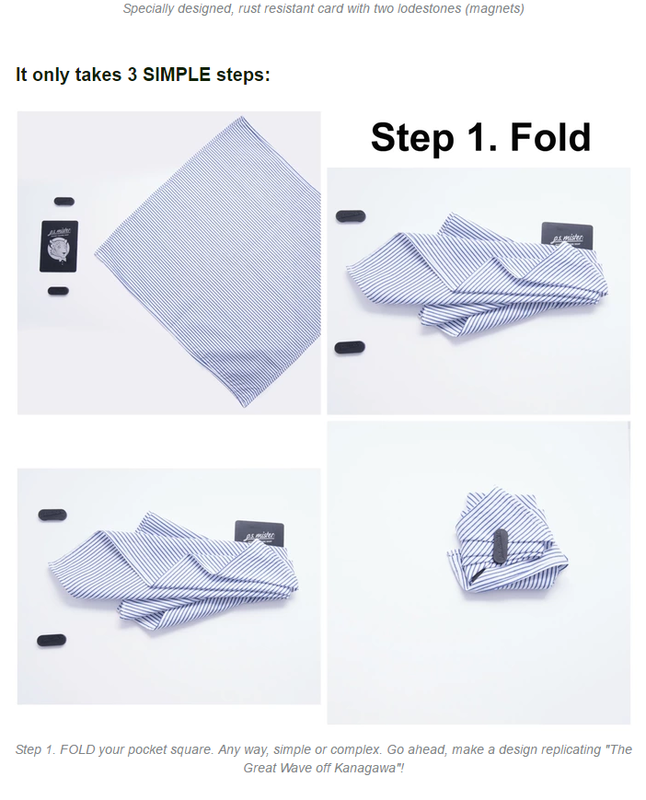 Pocket Square Snap™ with lodestones. 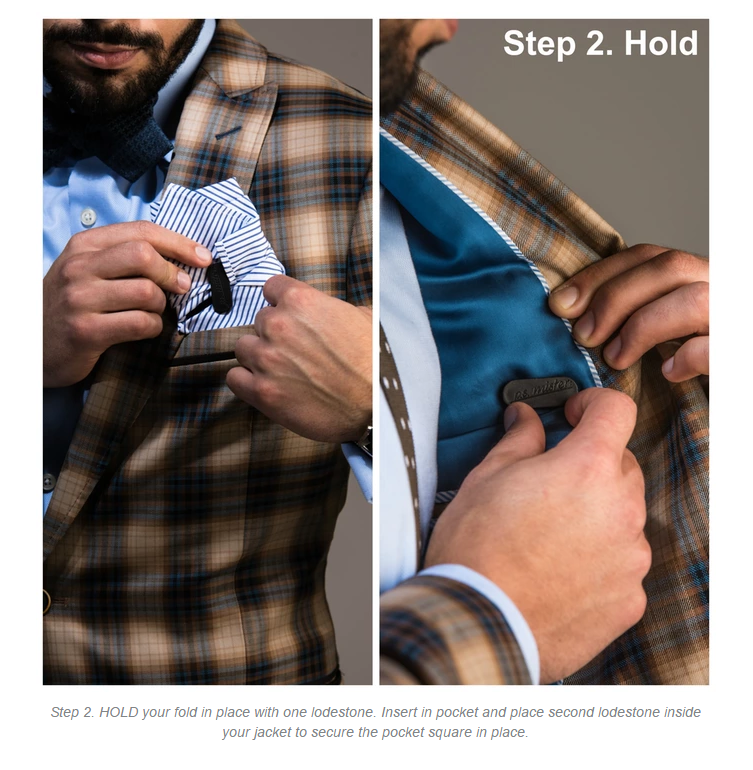 The pocket square is a subtle way to highlight a bit of personality without causing too much of a scene (unless you want to!) It's a dash of flash.